Rhonda Goldberg Sturtz is Marketing and Social Media Director at New York Journal of Books. She worked for many years in advertising sales, including ten years at TIME Magazine. While living in Hong Kong with her family, Ms. Sturtz established an art dealership, New Asia Art, that promoted the work of undiscovered painters. Ms. Sturtz spent eight years in merchandising and retail management. She attended the Fiorello H. LaGuardia High School of Music and Art in New York City and has a B.A. in philosophy from Kirkland College. Artist/Illustrator Jean Jullien applies his artistry and distinct observations on routine life situations in a delightful children’s board book entitled Before & After. "...beautifully captures a universal life moment..."
People of London is a collection of street portraiture that celebrates photographer Peter Zelewski’s passion for the city. Author Yoav Litvin is passionate about street art and recognizes its positive impact on NYC neighborhoods. Modern Life is an expedition through a universe of insightful images that chronicle artist and illustrator Jean Jullien’s perceptions and observations of 21st century life. Children learn to navigate technology early on these days and have the ability to access information online. Book learning is less common and encyclopedias are extinct. Lunchtime, time for lunch, take a breather, grab a bite, make a call, run an errand . . . Charles H.
Author and self-professed amateur photographer, Brandon Stanton, has successfully branded humanity in a wildly engaging photoblog that has garnered 15.7 million followers since 2010. Creative Haven Whimsical Gardens Coloring Book by Alexandra Cowell rings in the gentler seasons of the year. 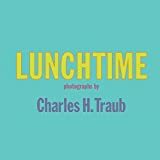 "... a compilation of photographs that are intriguing because they reveal a personal side of these artist luminaries that is rarely seen elsewhere." "A graphic novel, Street View will entice all you voyeurs out there to peer inside uncovered city windows and fantasize about the human dramas unfolding inside." "If you are a Banksy fan or at least interested in seeing a collection of his work. This Is Not a Photo Opportunity: The Street Art of Banksy will be a fun read." “Shake Puppies by Carli Davidson is guaranteed to put a smile on any face! “This is a hugely talented bunch, and their work deserves to be explored more fully. Thank you, Mr.